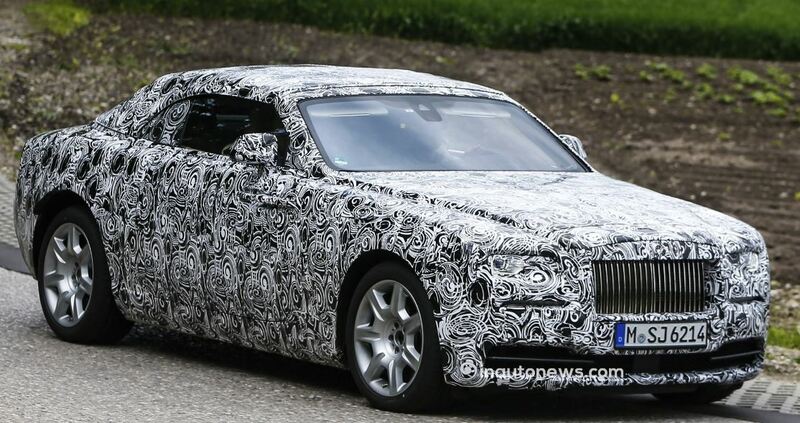 Spy photographers from Inautonews publication has managed to caught on camera the Rolls-Royce Wraith Drophead Coupe, while undergoing some public road tests. 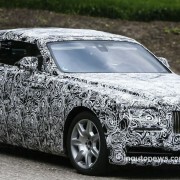 The Wraith version is more likely to be the future Ghost Sedan, being ready thus to complete the company`s lineup, after recently revealing the coupe and the convertible versions of the Phantom model. The Rolls-Royce Wraith Drophead Coupe, as seen in the spied shots, comes with a fresh new body and will be best suitable for young customers that hasn’t thought of a convertible model from Rolls-Royce. Also, the Rolls-Royce Wraith Drophead Coupe bears a folding soft top just like the BMW`s 6-Series, riding on the same platform as well, along with the same 6.6-liter V12 unit under the hood. The Wraith Drophead Coupe can thus reach a massive 624 horsepower and a huge 800 Nm of torque, being priced at 280,000 euros. 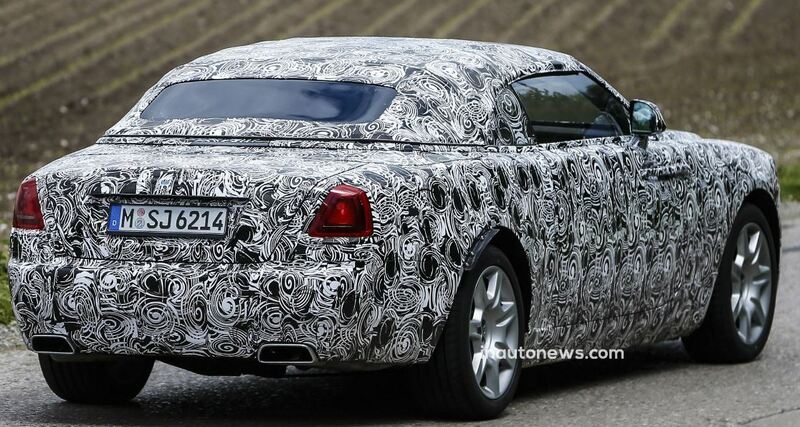 The Rolls-Royce Wraith Drophead Coupe will be unveiled at the 2014 Paris Motor Show, in October and would hit its dealerships at the beginning of 2015.